In early 2013 British explorer Sir Ranulph Fiennes will lead a group of six men to cross Antarctica during the Austral winter for the first time in history, known as The Coldest Journey on Earth. Here, Dr Alexander Kumar outlines how the expedition will yield new science as well as test human endurance. The effort has been described as the last great polar challenge. In keeping with the strong history of science conducted on Antarctic expeditions dating back to Scott's ill-fated South Pole expedition by his doctor Edward Wilson, science will feature heavily in supporting the purpose of this historic expedition which aims to set new records. The expedition's two specially adapted and bespoke Finning Caterpillar D6N track-type tractors will pull the expedition's living quarters in a first caboose, all the expedition's fuel and also a science workshop housed within a 27ft insulated container in the second caboose. This crossing provides a new and unique opportunity to collect data along a route planned at a time of year that would otherwise remain inaccessible to human presence. The science has been overseen by an expedition science committee chaired by Sir Peter Williams, vice-president of the UK's Royal Society, and is divided into two parts - the first part focuses on the environment and a second part will study the expedition members themselves. The first part of the expedition science will involve a handful of environmental science projects starting on the voyage to Antarctica by ship. Following arrival and during the traverse along the 4,000km planned route, the team will carry out mapping of the height of the landmass to allow true surface-shape of the Antarctic Ice Sheet to be calculated. This high-resolution dataset will be valuable to key international environmental science efforts to monitor climate change-driven changes in the Antarctic Ice Sheet. Another study will involve snow sampling to establish patterns of large-scale atmospheric transport of water vapour across the ice sheet by water isotope analyses. These data will provide invaluable information about Antarctic atmospheric dynamics, of the origin of water vapour over the oceans and how it is ultimately deposited as snow on the surface of the ice sheet. Monitoring changes in water transport are important contributions to models projecting climate change. Further study will involve the team seeking to determine the potential diversity of extreme psychrophilic ("cold-loving") bacteria living inland in Antarctica, that in turn will establish a map of the distribution of bacteria across the continent. This particular research forms the basis of creating a collection of Antarctic bacteria for conservation and biotechnological research purposes. Alongside conducting these environmental science studies, the second part of the expedition's research will involve studying the expedition members themselves under a human science protocol titled "White Mars" whilst enduring the world's most extreme conditions. Prolonged period of complete isolation: the expedition will be alone, isolated and have to be self-sufficient for at least 7-9 months. Altered day-night cycle: the Antarctic winter involves a period of over three months of complete darkness where the sun does not rise above the horizon. Chronic hypobaric hypoxia (lack of oxygen): where the expedition will encounter equivalent altitudes up around 3,800m due to the extreme cold temperatures and distance from the Equator which further decreases atmospheric pressure. 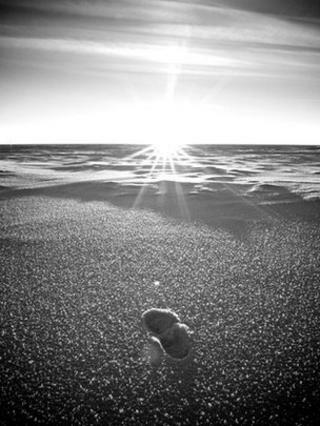 Exposure to extreme cold: the Antarctic Plateau, which will be crossed, is the world's largest and coldest desert with extremely low humidity and the expedition will involve prolonged periods of exposure to extreme cold below -70C. The term White Mars was inspired by the Mars Trilogy, a set of books published by science fiction writer Kim Stanley Robinson involving the terraforming of Mars and relates to the use of the polar regions as space and interplanetary human exploration research analogues - that is to say, the conditions endured on polar expeditions best mimic the conditions found on other planets, moons or in long space travel. I am currently working at an Antarctic station located in one of the most remote and extreme locations on the planet where I am responsible for conducting human spaceflight research for the European Space Agency. Following a review of a Nasa report discussing the use of polar traverses in space analogue research, which involved polar veteran Charles Swithinbank, The Coldest Journey expedition presents an opportunity that would never come again - to use this polar traverse as a space analogue environment to study the team members' physiology and psychology whilst living through the most extreme conditions on our planet - which has never been done before. This research will focus on physiology and psychology within extreme environments. I have helped to set up and organise White Mars working in partnership with the nutritionist and explorer Dr Mike Stroud OBE, who has completed many expeditions and extreme endurance challenges with Sir Ranulph Fiennes including the first crossing of Antarctica by foot. Where both of us had intended to join the expedition as the doctor and scientist, neither of us were able to. Dr Stroud will act as the principal medical adviser to the expedition. Specialist units from all over the world, ranging from the UK's University of Oxford to the University of Manitoba in Canada, have contributed different specific studies towards an integrated protocol, to understand the effects of the extreme conditions on the physiology and psychology of the expedition members. Separate to a current research placement for Esa, the White Mars study could be one of the most reliable analogue study conducted to date, involving "real" isolation which cannot be simulated in a laboratory-styled study. White Mars is overseen by King's College London's Centre of Human and Aerospace Physiological Sciences (CHAPS). The centre's director Prof Stephen Harridge says: "We are very excited to be part of this incredibly challenging expedition, which is going to push the boundaries of human physical and mental endurance. "Hopefully, important information will be obtained which will increase our understanding of the limits of human performance, and in particular those which may be relevant for future trips to Mars." Mars Society president Dr Robert Zubrin further explains: "The White Mars study is a bold move that will add significantly to our understanding of how to deal with the challenge of human exploration of the Red Planet." The extreme challenges listed above have provided a focus for particular areas of study for White Mars, involving psychology and physiology research. Experiments and tests will be performed on team members before the expedition departs to provide a useful baseline, then throughout the expedition and again on their safe return. The protocol will monitor circadian rhythm and calculate related hormone levels including cortisol and melatonin, immune system function, blood clotting, sleep patterns and effects of hypoxia among other areas. The expedition team members will undergo an ophthalmological study organised by London School of Hygiene and Tropical Medicine in keeping with the expedition's principal aim to raise $10m for charity. Nutritional research will complement studies on Vitamin D. With members exposed to and breathing in the world's coldest temperatures, measures will be made to assess the impact on respiratory function. In relation to the prolonged period of isolation, each team members' microbiological flora will be studied alongside further studies performed to gauge and track processes of cardiac and neuro-deconditioning. Expedition updates will be provided via The Coldest Journey expedition website charting the progress and science along the route. All science results will aim to be published and the results disseminated to a wider audience through the expedition's educational arm reaching out to schools worldwide.